Our Journey to the East: Pre-Approval!!!!!! Makinley Faith Chun Ying Sloan!!!! Wow! Fast PA! Awesome. Praise God. And yes, she is ADORABLE! I'm so excited for you all. That is very sweet! What a blessing to be called by God to parent one of his sweet creations! Yay! absolutely beautiful! So happy for you! You must be over the moon. we're excited to be on this journey with you guys! we love you all so much & are so blessed to call you friends! She is adorable! I bet you just can't wait to kiss on those cheeks!! She is so so so beautiful! I can't wait to hear the whole story! Hi Gretchen! This is Heather. You commented on my blog tonight. Please email me at htfrantz92@yahoo.com. 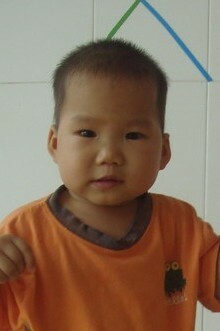 I have lots of photos and video of the kids in the orphanage, and the yahoo group, which is awesome! Congratulations!! She is ADORABLE!! You definitely need to join our yahoo group for this orphanage. There are some GREAT families! And LOTS of pictures and videos of the kids. Beautiful!! so happy for your family!! YES SHE IS...GORGEOUS!! SOOOOOOOOOOO very, very happy for your family. I've just been catching up on your regular blog and this one. She's a beauty and I cannot wait to follow on another journey of your's to your precious new daughter. I love when God designs our families!! Sending big "CONGRATS" and hugs your way! Paper Work...How Quickly We Forget!